1. Spread the word through Facebook, email, media, etc. We have materials that you can share. 2. Attend our meetings on Mondays at El Centro Chicano. 3. Write a letter of support! Letters should be sent and directed to President Nikias (president@usc.edu). 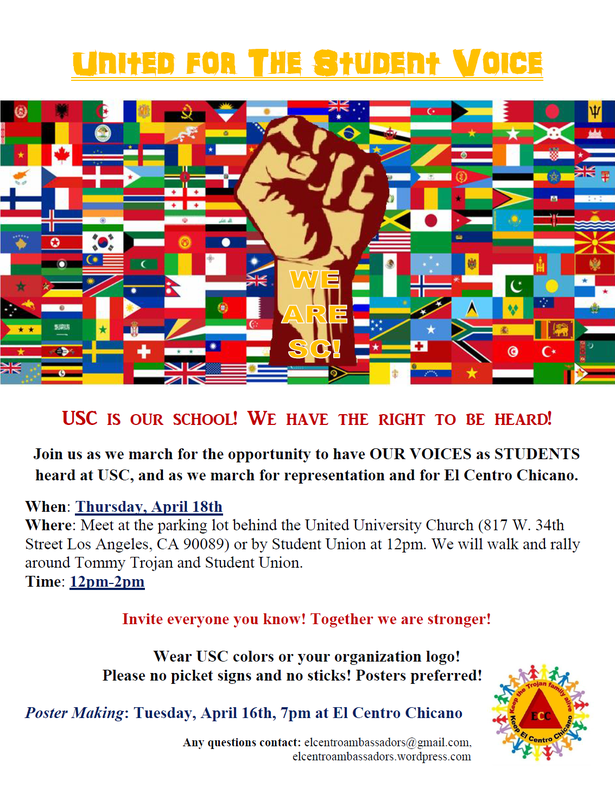 Please CC : Provost Elizabeth Garrett (uscprovost@usc.edu), Denzil Suite (dsuite@usc.edu), William Vela (wvela@usc.edu), & El Centro Ambassadors (elcentroambassadors@gmail.com). 4. Sign the PETITION and write why this is significant to you. 5. Call the administration to voice your concerns. 6.. Join us at the rally. 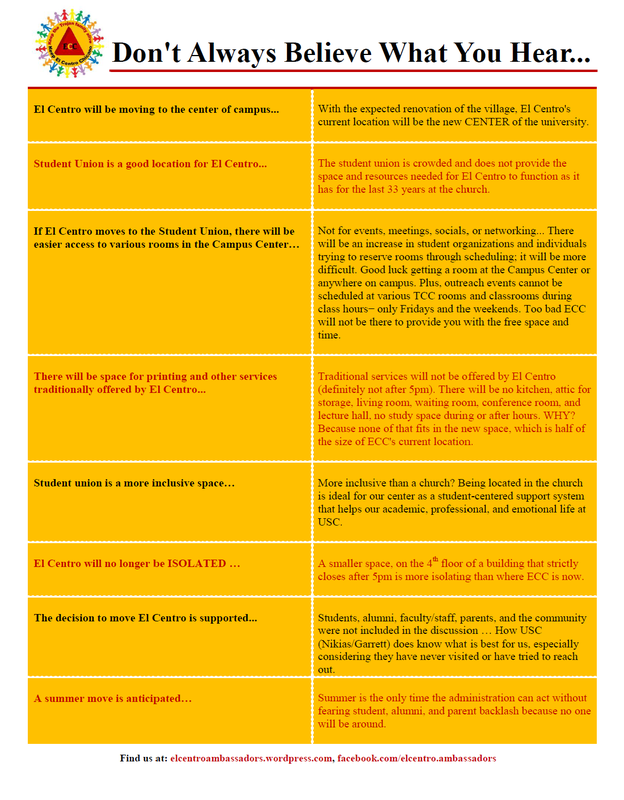 Below are templates that you can use as examples to draft your own letter.